It all started with a Facebook post. 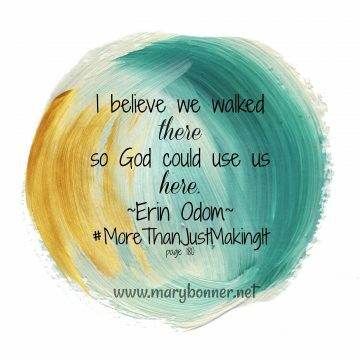 My friend had shared that her friend, Erin Odem, The Humbled Homemaker, had a new book coming out in a few months and was looking for people to join her launch team. If you don’t know, a book launch team is a group of individuals that agree to read the book and help promote the book prior to publication. The goal is to build interest in the book so when it finally hits the shelves of Amazon, Barnes and Noble and the like, people want to buy it. Better yet, they have pre-ordered the book! It is a big deal launch a book and I’ve heard that it is much like having a baby. Although, having never birthed a book I can’t compare the two. Back to that Facebook post. 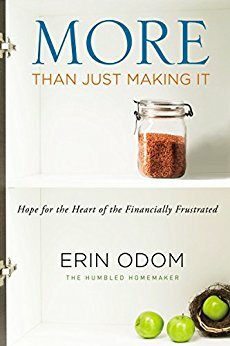 I was intrigued by the tagline of the author, The Humbled Homemaker, and I was equally intrigued by the title of the book, More than Just Making It Help for the Heart of the Financially Frustrated I checked out the link in the post, applied for the launch team, and was accepted. I have been on other book launch teams and have even coordinated a few book launches myself. I knew what was expected of me. Members of the team are added to a private Facebook group where the author, launch team coordinator, and members share information, thoughts about the book, etc. This team was no different than the others. Except, for me, it was vastly different. This team and this book began a heart work in me that I did not expect. I am a frugal person who loves shopping in thrift stores and looking for a way to stretch money. This book would have ideas for budgeting and stretching a buck. And it does have some of that. But it has SO. MUCH. MORE. 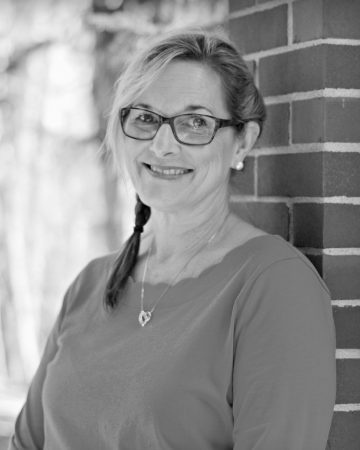 This book is a memoir of Erin and her family’s journey into and out of poverty. Erin and her husband had college educations. Erin grew up in upper middle-class America. She and her siblings went to private school. She graduated from college debt free. But the economic downturn created financial stress of gargantuan proportions for Erin and her husband. She found herself standing in line for government assistance and hoping no one saw her. She learned how it felt when she walked the path of poverty with them. Life for Erin did not turn out like she had envisioned. But God used the time in poverty to change her. She and her husband didn’t have a spending problem, they had an income problem. And they struggled. On page 177 Erin writes, “I was blinded to the world of the have-nots until I became one.” I am often blinded to others. This book helped open my eyes. I am not a “have-not.” I have never been one. But my privileged and abundant life had blinded me. I wasn’t thinking about how those with less might be feeling. We cannot assume that everyone on government assistance is lazy and not trying. Erin and her family simply did not make enough money to get by without assistance. I would encourage you to read this book. Maybe your eyes are already open. Maybe the heart work has already begun in you. If not, this book might open your eyes to those less fortunate like it did for me. If you are struggling financially, it may help you see God’s provisions in ways you did not expect. You can find Erin on Facebook, Twitter, and Instagram. Check out the hashtag #MoreThanJustMakingIt on social media. I have preordered several copies and I am giving away three of them here. If you would like to win a copy, subscribe to my blog and leave a comment letting me know and share why you want to read the book. If you are already a subscriber, leave a comment letting me know you would like to win a copy and let me know why. The giveaway ends at midnight Friday, September 1, 2017. You can pre-order Erin’s book on Amazon or the More Than Just Making It website. If you pre-order it (anywhere), you can receive bonus gifts worth over $200.00, just go to the website and submit your information. #MoreThanJustMakingIt a book worth reading. This post contains affiliate links. That means if you click on the link and purchase something, I might make a few cents off the sale. But it costs you no more money. Oh my goodness! I so need to read this book. I’m looking forward to receiving my copy and asking God to prepare my heart for His work. I need to read this book. Thanks for sharing. This book discusses what I have been meditating on all week…God’s refining of me and my life! And I could definietly use a spiritual track of guidance for my finances. Thank you for posting. I am intrigued Mary. Not too long ago I was in a simulation training to understand poverty. I always thought I understood poverty but my eyes became wide open to the everyday struggle that a family would go through not knowing when their next income would be in their pockets. I have had a Blessed life. I have given to charities and helped many in my life. With this being said I do not know poverty or what stresses it puts on all those that it touches. 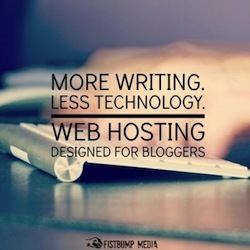 Some links on my site go to affiliate websites. NO additional cost to you. Sign up below to receive occasional emails with resources and information. I hate spam and will never share your personal information.